With your mouth empty so there is nothing between your teeth to bite on, close your teeth together and squeeze hard. If clenching your teeth together causes any sign of discomfort in any tooth, you have a disharmony in your bite. Teeth that are sensitive to cold often get that way from the extra pounding they take if any part of that tooth strikes before the rest of the teeth contact during the closure. Use the clench test to see if the extra sensitivity is related to an uneven bite. Squeeze hard. If you can make any tooth hurt by empty mouth clenching, the bite is probably the main reason for the sensitivity. This is a good way to find out if a new filling or crown is “high.” If it hurts when you clench, it is probably not in perfect harmony with a correct bite. You should be able to bite hard and grind your teeth together in all directions without feeling discomfort in any tooth if your bite is perfect. The exception to this is if you have advanced periodontal disease, you may have several teeth that can’t accept firm biting, but even then, you should not normally feel pain in a single tooth when biting. Biting on a “high” filling or crown can cause the tooth to become tender or sore, and often also causes the tooth to be sensitive to cold. In addition to the sore tooth, the jaw muscles may also become sore as they try to avoid striking the high tooth. If biting hard causes pain or discomfort in the jaw joint, (you may feel it just in front of your ear), you can suspect a possible relationship between your bite and a TMJ problem. 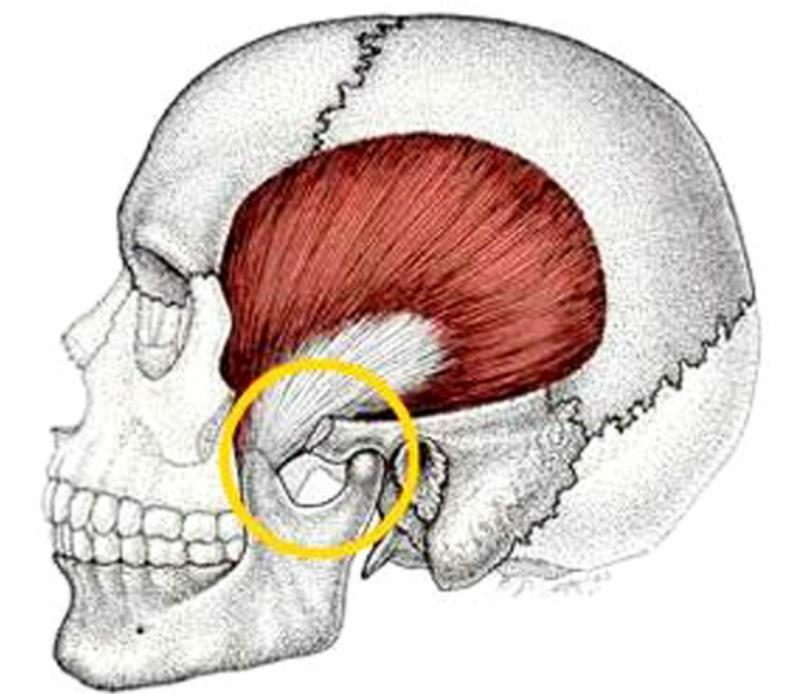 It may be associated with a structural disorder in your TMJ, but more often the pain is coming from certain muscles that move your jaw joints to accommodate a bite that is not in harmony with your TMJs. Your dentist should be able to diagnose the exact source of the pain. Look for severe wear on your teeth, as this is another sign that your bite is not in harmony. If you have worn all the enamel off the biting edges of your teeth, you will see a darker colored surface. 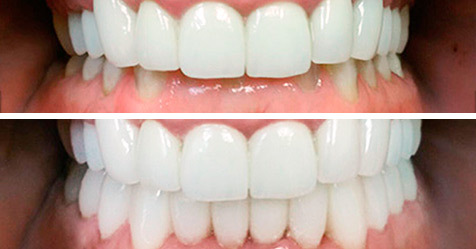 This is dentin and it will wear down seven times faster than the much harder enamel that you’ve already worn through. So ask your dentist to evaluate what is causing so much wear. This wear can be especially damaging when it is on your front teeth, so if you notice your lower front teeth have worn down to dentin, have your bite checked. Better yet, don’t wait till all the enamel is gone. Correcting your bite may stop or at least slow down the wear process. Severe wear on lower front teeth. If this wear continues the nerves will be exposed and the teeth can become abscessed. Wear that is this severe requires expert correction of the bite as well as restoration of the severely damaged teeth.